Jose Mourinho says he may watch Chelsea's clash with Stoke on a "street corner with my iPad" - or may not even bother at all. The Blues boss has been banned from attending Saturday's game at the Britannia Stadium after admitting a Football Association misconduct charge relating to his behaviour at West Ham last month. Asked how he plans to view the match at his Friday press conference, Mourinho responded: "You can imagine that it's not easy. You can imagine how I feel. And I don't want to speak a lot about it. "I have no plans. Maybe I sit in the street corner with my iPad. "Maybe I don't even watch the game. What's the point if I can't make decisions?" Mourinho failed in an appeal against a separate sanction on Thursday, a suspended one-match stadium ban and £50,000 fines for comments made after the October 3 loss toSouthampton. That stadium ban will only be imposed in the next 12 months if he contravenes FA rules governing media comments on match officials. 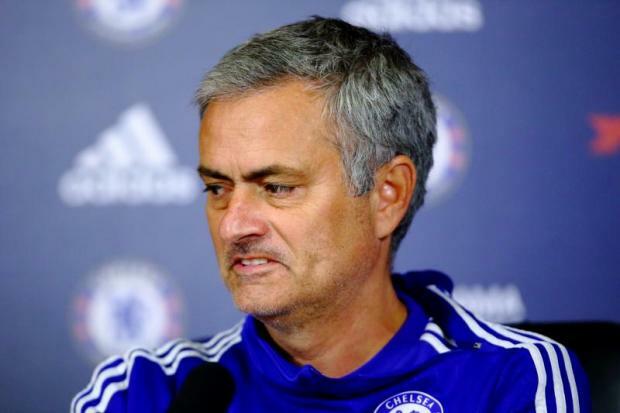 Mourinho suggested he feels aggrieved at his current punishment and his relationship with the FA is fractious. But he is not planning to test it on Saturday. "No. No temptation," Mourinho added. "I travel with them (the team). And I will be with them until the moment somebody stops me. "I have to get out (of the bus) before (it reaches the stadium)."